Rupture discs are designed to provide instantaneous pressure relief at a predefined pressure and temperature. Installation is an important consideration that can affect the performance of a ruptured disk. Installation instructions are included with all ruptured disk shipments. These instructions should be followed carefully and completely. Remember to locate the rupture disc word will have sufficient clearance to operate unhindered. The rupture disc should be vented to a safe area where people and equipment are not at risk as a system discharge can be hazardous, or cause injury. The piping near the rupture disc should be braced to absorb shock caused by the opening a ruptured disk. A danger sign should be placed in a conspicuous location near the zone of potential danger. Keep the danger sign clean and unobstructed for ease of viewing. 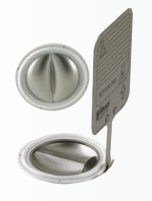 Fike sanitary ruptured discs are designed for use with standard sanitary ferrule's and clamps. There are a variety of sanitary ferrule standards used in industry including, but not limited to, Tri-Clover with standard clamp, and also high-pressure clamp DIN 32676, ISO 2852 and NovAseptic NA Connect. To install a new ruptured disc, remove the ruptured ruptured disc from its piping. Please use caution as a ruptured disk may have sharp edges. Remove clamp, and separate the ferrule components. If this is an existing installation, it is important at this point to do a visual inspection of the ferrule. Inspect them for nicks, scratches, dents, gouges and galling. Before installing a new ruptured disc into the ferrule, clean the seat area with the solvent compatible with your media. When unpacking the new ruptured disc it should be handled carefully. Visually inspect the rupture disc for damage. Read the complete information contained on the ruptured disc tag. Verify that the disk size, type, pressure, and temperature are correct for your system. After verifying that you have the correct rupture disc, inspect the silicon, Viton and EPDM gasket position, and ensure that the gasket ID is centered on the dome the rupture disc. Then place the rupture disc directly into the ferrule’s, with the flow arrow on the ruptured disc tag pointing in the same direction as the required flow. For the Teflon and J1500 gaskets, carefully place both at the gasket halves on the rupture disc, so that they interlock around the outside diameter of the rupture disc, so that the ruptured disc tag extends through the notches in the gasket haves. Place the rupture disc into the ferrule’s with the flow arrow on the ruptured disc tag pointing in the same direction as the required flow. Install the clamp around the ferrule’s, so the gap between the two clamp haves is centered and equal on the ruptured disc tag. Apply the recommended torque to the clamp at this time. Specifications can be found in the written installation and maintenance instructions. Whenever possible it is recommended to install sanitary rupture discs between two ferrule spool pieces. Using this approach can help prevent any unintentional stress or damage to the disk during installation. Assembly can take place at a workbench, rather than at the installation location, where conditions could be less than ideal, greatly reducing the possibility assembly errors. This practice is suitable for standard ferrule installations utilizing Tri-Clover with standard clamp, and also high-pressure clamp DIN 3267 and ISO 2852. Fike realizes that conditions do not always allow for this, so caution should be exercised when installing rupture discs directly between two ferrule’s. As part of the new 3A Standard 60-01, certified sanitary ruptured discs are suitable for a one-time use, or single installation only. Depending on the cleanability of components in your process, rupture disks can be cleaned or steamed in place if the process allows. Avoid any high pressure stream of cleaning agent from being directly focused on the ruptured disc, as this could cause damage. If ruptured discs are removed from the process for any reason, they must be replaced in order to remain compliant with 3A Standard 60-01. 3A certified rupture discs will be marked both with the 3A symbol and one-time installation statement. An optional feature for the sanitary rupture disc would be the integral burst indicator, which provides instantaneous notification of rupture disk activation. Fike ruptured discs and ferrule's come in many sizes and types. A common requirement of all designs is proper handling and installation. This explanation assumes installation is done under ideal circumstances. We realize that the location of your particular ruptured disc may not be ideal, however when these steps and written instructions are followed as closely as possible, the performance and service life of your rupture disc may be enhanced. As always contact technical support or your local Fike representative if you have any questions or need any assistance. The transit-time difference method for measuring flow exploits the fact that the transmission speed of an ultrasonic signal depends on the flow velocity of the carrier medium. Similar to a swimmer swimming against the current, an ultrasonic signal moves slower against the flow direction of the medium than when in the flow direction. For the measurement, two ultrasonic pulses are sent through the medium, on in the flow direction, and a second on against it. The transducers are alternatively working as an emitter and receiver. The transit-time of the ultrasonic signal propagating in the flow direction is shorter than the transit-time of the signal propagating against the flow direction. A transit-time difference, Δt, can thus be measured and allows the determination of the average flow velocity based on the propagation path of the ultrasonic signals. An additional profile correction is performed by the proprietary FLEXIM algorithms, to obtain an exceptional accuracy on the average flow velocity on the cross-section of the pipe - which is proportional to the volume flow. Since ultrasounds propagate in solids, the transducers can be mounted onto the pipe. The measurement is therefore non-intrusive, and thus no cutting or welding of pipes is required for the installation of the transducers. 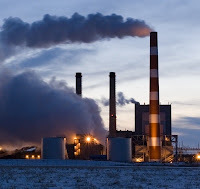 Power plants and NOx emissions. Power plants concerned with lowering NOx emissions are making tremendous changes to accommodate EPA regulatory requirements. A substantial number of these changes include the expansion and upgrade of the plant combustion oxygen measurement equipment. There is a striking relationship between the number of NOx reductions projects and the sales quantity of insitu oxygen detectors. The reason is that power plant betterment groups, operators, boiler manufacturers and engineering firms understand the direct relationship between NOx and excess air in the combustion process. An area of daily practical importance to boiler operators and I&C teams are the common problems with insitu oxygen measurements. This paper focuses on the practical issues of combustion oxygen measurement as they relate to specifically to fuel usage and NOx emissions. 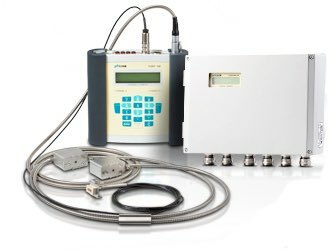 Practical Issues of Combustion Oxygen Measurement Specifically Related to NOx Emissions from Flow-Tech, Inc.
All flow meter technologies have recommended installation and engineering practices to ensure they meet their published specifications and for optimal performance, accuracy and repeatability. 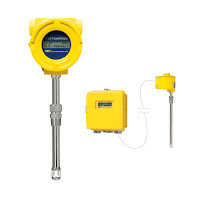 Flow meter users are frequently challenged with wide variations in their actual eld conditions and installation constraints that are much different from the ideal conditions under which their ow meter was calibrated. 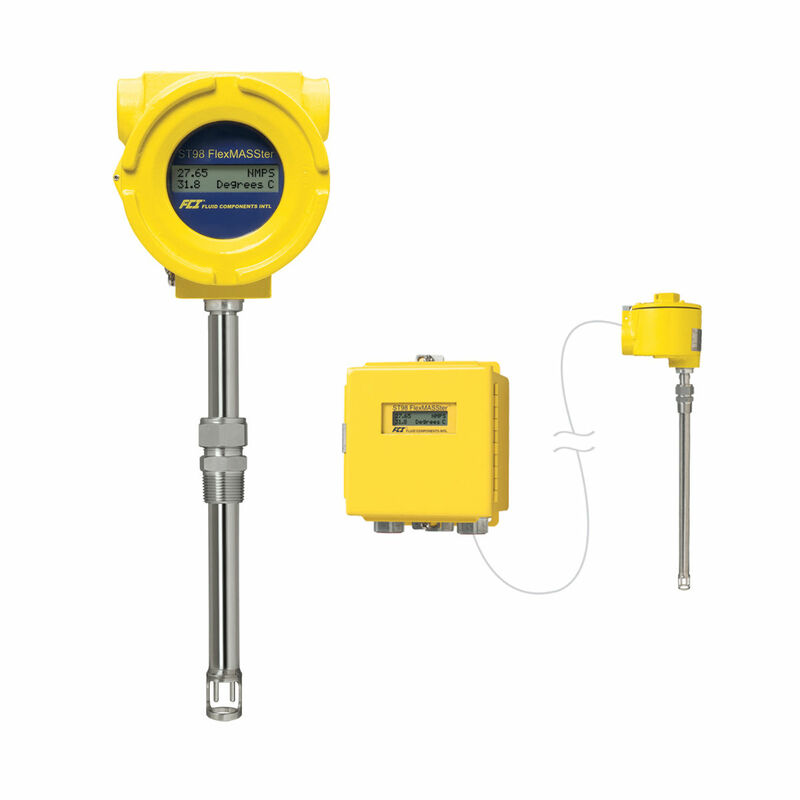 In fact, the most common installation constraint for most all flow meter installations is inadequate straight-run. Flow meter users expect their flow meter suppliers to provide engineering recommendations and solutions to overcome real world application conditions to obtain expected flow meter performance to specifications. This guide provides recommended engineering practices with diagrams and specifications for straight-run, installation orientation and depths, as well as use of flow conditioners as an engineering solution for FCI single-point, thermal dispersion flow meters. Single-Point, Thermal Dispersion Flow Meters: Best Practices Engineering Guide from Flow-Tech, Inc.